Neelam attempts to commit suicide. Yash and Aarti go off to the pre wedding party in disguise, to try and stop Neelam’s arranged marriage. Mr Sindhia and Gayatri come to know that Aarti and Yash went out against their wish. Yash and Aarti find out that the minister has sent men all around town to search for his daughter and kill the kidnappers. Neelam’s parents agree to Kunal and Neelam’s marriage after their suicide attempt. Aarti attempts to persuade Palak to face her fear towards public speaking. Bhavani is seeing people for career opportunities behind Pratik’s back. Ansh and Palak fight at school calling each other’s parents unpleasant names. Pratik thinks Bhavani is cheating and follows her. Aunt Maya shows her hatred towards Aarti getting a second chance at marriage. Aarti is miserable because she is in the dark about Yash’s anger. Gayatri cannot bear seeing Yash in this state and tries to reach out to him. Gayatri tries to throw Aarti out of the house for Yash’s happiness. Aman tells Aarti about the night she was intoxicated. Bhavani disregards Vidhi’s authority as eldest daughter in-law and goes against the in-laws rules. Yash admits hating Aarti for falling in love with him. Bhavani’s producer threatens to spill the information about them. Aarti falls sick and the bus leaves them in the middle of nowhere. Prashant, sees her and offers to help. Prashant returns to his parents’ house and begs them to stay with him as he is not fit to live alone. 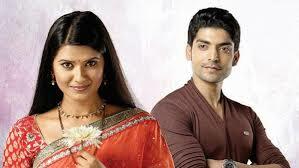 Yash and Aarti almost see Prashant at Shoba’s house. Yash finds out about Aarti and the baby’s health condition.